Over the summer, I had a fascinating conversation with a group of educators. After spending several days discussing ways to encourage student inquiry, a technology specialist raised a pointed question: “What if the librarians already have a district-approved research process? Does what we’re doing conflict?” As I pondered her question, I realized a fundamental problem: inquiry and research had somehow morphed into synonyms. Over 10 years ago, our school librarian introduced me to the Kentucky Virtual Library research process. Using a gameboard as an interface, the process presents students with concrete steps to support their planning, searching, note taking, and writing. The clearly articulated steps, logical progression, and embedded strategies supported our students as they located, identified, and evaluated information. Though intended for elementary students, it provided a concrete pathway for our middle schoolers as well. We even printed out the main page of the website and gave the students stickers to mark off each task they completed. While this research process helps students locate and evaluate information about any topic, it does not ensure that they have an opportunity to ask questions, investigate problems, or make connections to their own personal experience. By definition, inquiry requires students to engage in active learning by generating their own driving questions, seeking out answers, and exploring complex problems. Research, though often a component of inquiry, addresses the process of finding answers. A teacher and I recently discussed this dichotomy. She explained that in her upcoming animal adaptation unit, the students would research a specific animal. They would locate facts about the animal’s appearance, habitat, etc., to fill in a provided outline. Though the teacher provided excellent scaffolding of the research process so that her students could look up information from multiple sources, articulate their findings, and document their learning, inquiry would imply that the students asked the questions. We brainstormed what might happen if we asked students a driving question such as: “Why do some animals from around the world look the same and others look very different?” The students would still work through the research process, but they would also have to define same and then apply their definition. When we asked our fourth graders this question during their study of animals in Africa, they drove the question around the world. Though they began their investigation by examining the similarities in physical characteristics between different animals in the same habitats, they quickly started asking questions on a global level. Besides physical characteristics, what traits do animals in the same habitat share? Do animals in the the same biome, but on a different continent, have similar traits? Why are some animals found on multiple continents while others are unique to just one location? Another great example of scaffolded inquiry that I’ve seen recently comes from educators Anthony Egbers and Kerryn White of South Africa. They used Book Creator to make a workbook to guide their students in exploring the concept of the Cradle of Humankind. Unlike the Kentucky Virtual Library research process, theirs focuses as much on the questions that students ask as on the information that they find and evaluate. In the workshop that sparked this debate, we considered three strategies for encouraging student inquiry. First, we examined the use of visible thinking routines. These question sets—such as See Think Wonder and Think Puzzle Explore—scaffold students’ questioning and reflection so that they deeply consider both content and context. Sometimes, students need structure to begin asking questions. Next, instead of focusing a research project on a topic or concept, we considered the power of an essential question. 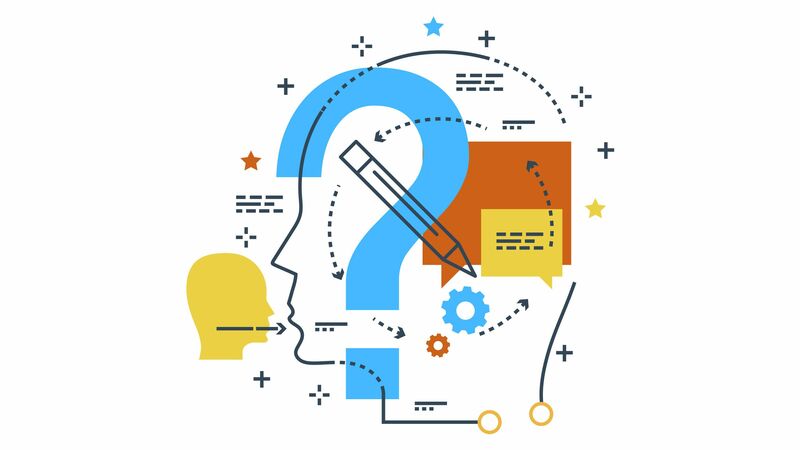 According to Grant Wiggins and Jay McTighe, essential questions do not lead to a single answer but instead serve as a catalyst for discussion, require higher-order thinking skills such as inference and evaluation, and spark more questions (that lead to even more inquiry). Finally, inquiry should tap into student curiosity and wonder. In his book The Falconer, Grant Lichtman discusses the importance of “what if?” questions. As an example, he poses this question: “What if the sun rose in the West and set in the East?” While the immediate reaction may be to just state that it doesn’t, what if it did? What would that imply? What else might have to happen? By asking such questions, teachers remove all limitations to how students may respond. Similarly, world-renowned innovator Min Basadur suggests framing questions with “How might we _____?” He argues that question stems such as this spark more imaginative thinking and remove judgment from perceived answers. This brings us back to that original question: Can there be research without inquiry and inquiry without research? Consider the power of a science lab. Students generate questions, formulate a hypothesis, investigate their theory, and then use their observations to develop an understanding of their discovery. Apps such as Desmos and Geogebra allow students to engage in inquiry with math. They can ask questions about mathematical concepts, explore simulations and scenarios, and manipulate formulas, as they explore complex phenomena that previously could not be addressed through active, hands-on learning. While research can certainly exist as a stand-alone process, inquiry should ultimately drive students to view research as a means through which they can seek out new ideas, answer new questions, and wrestle with complex problems.